Research findings for surname: HIGGINBOTHAM of Amherst County, Virginia, for the period of 1749 – 1814. 30 Apr 1751 Moses Higginbotham and wife Frances to Joseph Higginbotham for 5 schillings, 200 acres on Buffalo branches, part of 1340 acres bought from George Braxton, the Younger of King and Queen 23 Apr 1745; adjoining James Higginbotham. Witness: James Higginbotham, John Higginbotham, Thomas Jefferson. 30 Apr 1751 Moses Higginbotham and wife Frances to James Higginbotham for 5 schillings, 200 acres Buffalo branches adjoining Rucker. Witness: Thomas Jefferson, John and Joseph Higginbotham. 6 May 1751 Moses Higginbotham to James Higginbotham for 5 schillings, 204 acres Buffalo, adjoining Mill Creek; Moses Higginbotham. Witness: Aaron Higginbotham, William Morrison, John Higginbotham. 6 May 1751 Moses Higginbotham to William Morrison for 5 schillings, 204 acres Buffalo branches adjoining James Higginbotham, Moses Higginbotham, John Higginbotham. Witness: James, John and Aaron Higginbotham. 6 May 1751 Moses Higginbotham to William Morrison for 5 schillings, land on Buffalo branches adjoining Joseph Higginbotham. Witness: James, John and Aaron Higginbotham. 6 May 1751 Moses Higginbotham to Aaron Higginbotham for 5 schillings 204 acres, Buffalo, adjoining Joseph and James Higginbotham, Mill Creek. Witness: James and John Higginbotham, William Morrison. 11 May 1751 Moses Higginbotham and wife Frances to John Higginbotham for 5 schillings, 200 acres Buffalo Branch. Adjoining William Morrison. Witness: John, Benjamin and James Higginbotham. 11 May 1751 Moses Higginbotham and wife Frances to John Higginbotham for 5 schillings, 204 acres Buffalo branches, adjoining James Higginbotham. Witness: John, Benjamin and James Higginbotham. 21 May 1751 Moses Higginbotham and wife Frances to Joseph Higginbotham for 5 schillings, 204 acres on Buffalo, bought from George Braxton. Adjoining James Higginbotham. Witness: John, Benjamin and James Higginbotham. 1751 Widow Higginbotham. Soon after her oldest son Moses divided what was the family estate consisting of 2430 acres amongst his brothers and sisters. 4 Mary 1764 John Benger, Spotsylvania to Laurance Campbell, Spotslyvania, 82 pounds 1 schilling for 547 acres, branch of Naked Creek and Higginbotham Mill Creek. Lines: Moses Higginbotham, Richard Davis, Rice Meredith, Braxton. Witness: George Seaton, James and Joseph Higginbotham. 3 Sep 1764 Zachariah Taliaferro to Samuel Marksbury for 100 pounds, for 740 acres pat to Zachariah Taliaferro 10 Sep 1755. Lines: Aaron Higginbotham, James Smith, Late Capt. Richard Taliaferro, Horsley’s Creek, Branches of Buffalo, Joseph Higginbotham. 3 May 1765 Carter Braxton, King William to Richard Lee, son of late Ambrose Lee pursuant to Ambrose Lee’s will and for 40 pounds paid by late Lee, 200 acres on north side of Buffalo. Lines: Dudley Gatewood, Glebe line, Joseph Higginbotham, Ambrose Lee, deceased, Francis Lee. Witness: John Fry, Joseph Cabell, Cornelius Thomas, William Cabell, Jr.
9 Jul 1767 John Higginbotham to Rachel Banks. 3 Sep 1767 James Smith and wife Mary, to Patrick Lowry, Augusta for 100 pounds, 200 acres north side and joining north fork of Pedlar and on side of Long Mountain. Pat to James Smith 10 Jul 1766. Lines: Joseph Higginbotham. 7 Sep 1767 Benjamin Higginbotham to Alexander Baggs, Augusta Higginbotham under power of attorney from James Colbert Blair as of 16 Oct 1766, 30 pounds, both sides of the South branch of Middle fork of Pedlar. Witness: John Loving, Jr, John Loving, William Loving. 3 Oct 1768 John Parks Sr and wife, Mary, to Aaron Higginbotham for 40 pounds, 378 acres which Parks bought of Jeremiah Wade pat to Jeremiah wades 23 May 1763. Witness: Neill Campbell, John Old, Clough Shelton. 3 Oct 1768 Joseph Higginbotham to Cornelius Campbell, J.H. and C.C. for 20 pounds, 96 acres pat to J.H. 10 Jul 1766. Lines: Adam Reid, south side of Pedlar and crossing it. Hannah Higginbotham, wife of Joseph Higginbotham, consents. 9 Nov 1772 Rachel Higginbotham Morrison, widow to Samuel Ayres. 4 Dec 1775 Aaron Higginbotham to Nancy Croxton. 2 Mary 1778 Bartholomew Ramsey and wife Margaret to Nicholas Wren for 15 pounds, 36 acres south side of North fork on Piney. Lines: Charles Rose, William Houchings, Bartholomew Ramsey, Nicholas Wren. Witness: Charles Rose, Joseph Higginbotham, Jr, John Sale, George Lee, William Lee. 7 Apr 1778 James Higginbotham recommended as Lieut. Colonel. 6 Jul 1778 James Higginbotham qualified as Lieut. Colonel. 14 Dec 1778 Margaret Higginbotham to Edward Cox. Note: Have also seen it as 1773. 30 May 1779 James Higginbotham to Rachel Campbell. 21 Jan 1782 Benjamin Higginbotham to Mary Gatewood. 4 Nov 1782 Hugh McCabe to Thomas Staten, Rockbridge for 42 pounds, 50 acres both sides middle fork Pedlar. Lines: Joseph Higginbotham. 3 Mar 1783, Sarah McCabe, widow of Hugh McCabe appeared and relinquished dower rights. 28 Jan 1783 Isaac Rucker to Mary Higginbotham. 2 Jun 1783 Margaret Higginbotham Cox, widow to Thomas Morrison. 2 Dec 1783 Francis Higginbotham to Dolly Gatewood. 1784 Rockbridge Joseph Higginbotham to Mary Reid. Have also seen Augusta. 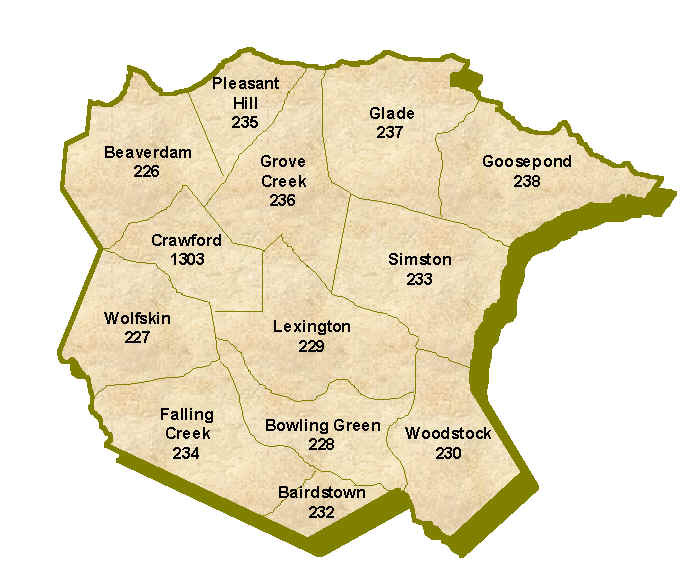 14 Feb 1784 James Rowsey and wife, Elizabeth, to Charles Christian for 61 pounds, 226 acres in Lexington Parish. Lines: Christian, John West, Moses Higginbotham, south branch Buffalo, William Gatewood, Charles Wilcher. Witness: Ambrose Gatewood, James Christian, Samuel Underwood, Mary Christian. 1 Mar 1784 Samuel Meredith to Notley Mattucks for 75 pounds, 18 schillings, 253 acres south branch Rutledge. Lines: Joseph Higginbotham, Daniel Gaines, Stewart. 2 Aug 1784 Richard Ballenger and wife Elizabeth to John Sale for 200 pounds, 180 acres on Thresher’s Creek; pat 12 Jul 1750. Lines: Pearce Wade, John Biswell, north branch of the creek. Also another tract of 250 acres on same creek and north side of Moll’s Mountain; and adjoining Aaron Higginbotham. 3 Aug 1784 Samuel Meredith to Daniel Gaines for 65 pounds, 219 acres south branch Rutledge and next to where Gaines now lives. Part of Carter Braxton tract known as the Old Church tract. Lines: Joseph Higginbotham, Notly Mattox, Daniel Gaines’ land bought of James Higginbotham, old field near the old church. Witness: Ezekial Gilbert, Josiah Gilbert, Mauris Gilbert, Wiatt Powell. 3 Aug 1784 Daniel Gaines and wife Mary to Frances Lipscomb, Louisa Co, for 300 pounds, 114 acres branches of Rutledge and Porrage Creek – formerly that of Carter Braxton and called the old Church Tract. Part of it bought by Gaines of James Higginbotham and part is his patrimonial estate. Lines: Joseph Higginbotham, Notly Maddox, Braxton, William Mahon’s fence. 25 Aug 1784 Isaac Mayfield to Ambrose Tomblin for 15 pounds, 25 acres between south and north fork Buffalo. Part of 200 acres pat to grantor 20 Jul 1768. Witness: Thomas Garland, Benjamin Higginbotham, Joseph Higginbotham Jr, John Ballow. 1 Oct 1784 William Higginbotham and wife Dolly to Thomas Powell (Taylor) for 30 pounds, 181 acres bought by Caleb Higginbotham of Phillip Smith and conveyed to grantor. Lines: crossing Puppie’s Creek, Jacob Smith, horn beam, south side of river. 4 Oct 1784 Benjamin Higginbotham and wife, Elizabeth, to John Clarkson for 610 pounds, 300 acres on Buffalo. Lines: Aaron Higginbotham. Also, 390 acres on Davis Mountain and south branch of Franklin Creek. Line: Jacob Smith. Also 23 acres on north branch Buffalo. Lines: Benjamin Higginbotham, Aaron Higginbotham, Davis Mountain spur, Joseph Higginbotham. Also, 130 acres on north side Buffalo and by Dinnish Thourofare. 13 Dec 1784 Daniel Gaines to Hugh Rose, Charles Irving, Gabriel Penn, James Franklin 10 schillings, deed of trust of 14 May 1783, debt of Gaines to Gabriel Penn for 4960 pounds tobacco and smaller debt; also debt due John Wiatt and Company for dealings at store in Amherst, Gabriel Penn is partner, to secure the above bondsmen on bond payable to John Hook, Bedford, on Amherst judgment in Assignee of J. Jones vs Gaines; bond payable to James Manees; also bond due Samuel Meredith, land known as Old House Lot of 606 acres. Lines: Jer. Taylor (alias Magan’s Ordinary), James Hill, Henry Bell, John Stewart, Charles Irvin; also Crooked Run lot of 175 acres. Lines: Joseph Mays, Benjamin Rucker, Joseph Higginbotham, John Stewart, Charles Irving, Crooked Run lot; also 92 acres on Mooley’s Mountain, also thirty slaves, named; stock, tools, furniture, crops. Witness: William Sydney Crawford, Lindsey Coleman, Richard Oglesby, Joseph Burrus. 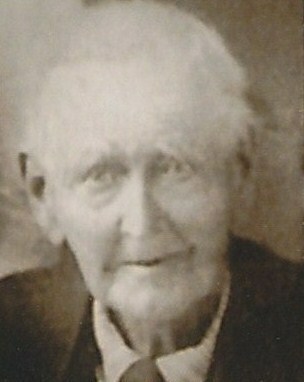 Daughter: Margaret, husband Thomas Morrison. Exrs: Brother James, and sons Samuel and Aaron Higginbotham. 2 May 1785 John Ballow and Mary Tunget, daughter of Jery Tunget. Surety: James Clemons. Witness: Samuel Higginbotham, James Clement, Phillip Smith. 13 Sep 1791 Rachel Higginbotham to Daniel Norcutt. 17 Dec 1792 John Higginbotham to Ann Stanton Higginbotham. 2 Jan 1793 John Hurt and wife Sarah to Benjamin Taliaferro for 250 pounds, 181 acres Buffalo where John Hurt lives. Lines: Puppie’s Creek, Jacob Smith, south side of river. Witness: John Smith, Samuel Goolsby, Joseph Higginbotham, Jr, John Taliaferro, Zach Taliaferro. 28 Jan 1793 Isaac Rucker to Mary Higginbotham. 16 Apr 1783 Joseph Higginbotham to Rachel Higginbotham. 17 Dec 1788 Joseph Higginbotham to Frances Higginbotham. 15 Sep 1794 William Chappell and wife Ann, to Peter Cashwell for 110 pounds, 253 acres south branches Rutledge. Lines: Joseph Higginbotham Jr, Joseph Wilcher, Carter Braxton’s old patent line, Michael Colter. 19 Jan 1796 Major Childress, son of Jospeh Childress and Hannah Ballow, daughter of Stewart Ballow. Surety: Joseph Higginbotham. Witness: William Sydney Crawford, Samuel Coleman, Thomas Coleman, Benjamin Higginbotham. 23 Jan 1797 Judith Higginbotham to Joseph Dillard. 17 Dec 1799 Polly Higginbotham to John Frazier. I believe I am the 7th great granddaughter of Rachel Higginbotham Morrison.